Manufacturer of a wide range of products which include organic potash granules, organic lignite granules, soil conditioner coated granules, soil conditioner coated granules (green), soil conditioner coated granules yellow and gypsum granules. 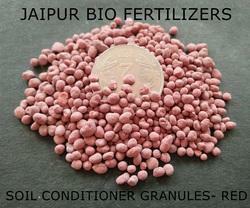 This product is formulated with Natural Potash and Natural Minerals including organic matter. It is formulated with Lignite powder and Natural minerals including organic matter. It Is Suitable For Coating Bio-fertilizer Bacteria Like Azotobactor, Rhizobium, Azospirillum, Acetobactor, Zsb, Tricoderma, And Bio-chemicals Formulations. The Product Contains Organic Matter, So Bacteria Can Sustain Longer Time On This Product. Natural Gypsum is a soft Sulphate mineral composed of calcium Sulphate dihydrate, with the chemical formula CaSO42H2O. 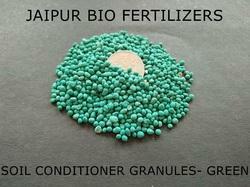 It is widely mined and is used as a fertilizer, and as the main constituent in many Industries. It contains three main elements i.e. Calcium, Magnesium & Sulphur. 6. Calcium / Magnesium / Sulphur is in readily available form. Good soil structure is one of the most fundamental ingredients necessary to produce vibrant, healthy plants and lush velvety lawns. 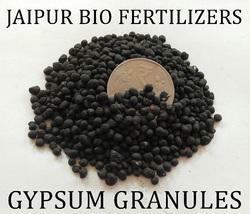 The use of Gypsum Soil Conditioner is one of the surest ways of insuring good soil structure. It is a natural soil conditioner that aids plant and lawn growth by loosening heavy, dense and water impervious clay soils. It loosens the soil, making it open and porous, water and other nutrients are able to penetrate deeper into the soil, quickly reaching the root systems. 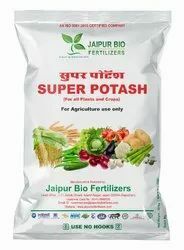 Fertilizers are more effective because they can migrate into the loosened soil quickly and can be utilized immediately because of the sulfur present in Bio. Strong, vital root systems can develop in the loosened soil, enabling the plants to reach moisture and other nutrients. 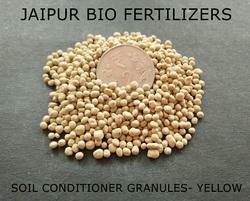 Sulphur is also needed by plants. Sulphur increases protein in grass, grain and foliage. Sulphur also decreases excessive levels of magnesium and sodium in the soil. 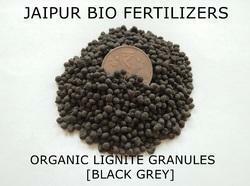 One pound of Sulphur is required for every 10 to 15 pounds of nitrogen used by plants. 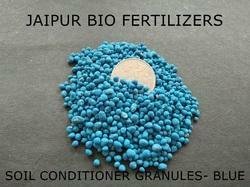 Plants use Sulphur in the Sulphate form.